The UK shopping centre landlord is buying smaller rival Intu for 3.4 billion pounds. The deal offers scale at a time when rents are under pressure from internet shopping and consumer demand. Intu’s lowly valuation also helps. Given the sector’s challenges, more deals are likely. The Bullring, Birmingham, UK, was one of Hammerson's developments. Image courtesy of the company. UK shopping centre landlord Hammerson agreed to buy smaller rival Intu Properties for 3.4 billion pounds, the two companies said in a statement. Intu shareholders will receive 0.475 of Hammerson shares for each Intu share, valuing the group at 253.9 pence per share. The price equates to a premium of 27.6 percent to Intu’s closing price on Dec. 5, according to the statement. 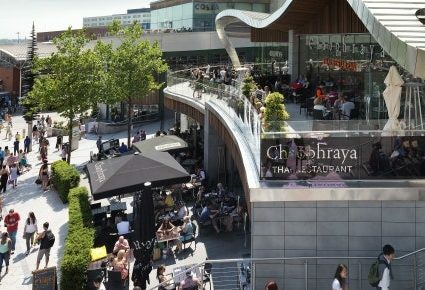 Hammerson plans to achieve cost savings of 25 million pounds a year from the merger. Hammerson shares were down 3.55 percent at 515p at 0850 GMT.